Want to know what's going on with Flirt4Free or the industry in general? Here we provide you with the latest News & Updates to keep you in the loop. Signup today and start receiving the latest news & more by email. Add announcements@flirt4free.com to your safe-senders list to ensure you'll receive any affiliate announcements or other important emails from us. Get ready to ramp up your traffic for one of our biggest sales day of the year next week! Flirt4Free is pulling out all the stops to ensure your customers get the best Valentines Day experience possible. 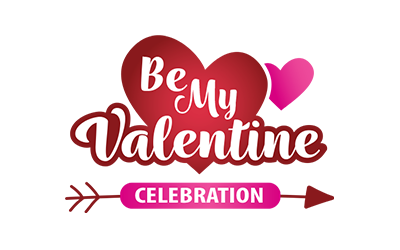 Keep your customers in the loop with our special promo banners and check out a models room for our candy hearts - customers go crazy gifting these hearts to their favorite models! Customers can purchase hearts to send to their favorite models, spurs a lot of activity all week long! You can find scheduled model shows all week leading up to Valentine's Day! Be sure to check out the calendars linked below. 2018 1099s shipped! For US-based affiliates, please take note that your 1099's from 2018 have been shipped out. Please allow a couple of weeks for them to reach you by mail. If you haven't received them and you think it has been too long, please send us an email! You can also download a copy here! *Note: the 1099 will automatically download when you login and hit this link! Email Sales@flirt4free.com if you have any questions. Hope everyone has an amazing Valentines Day! We're experiencing a display issue with our stats and are working diligently to fix this as soon as possible. This error impacted stats from late night January 1st through today, the 2nd. Please hang tight as we're looking into the issue and will have an update when it's fixed. Thank you for your understanding and patience, we wish you all a very happy new year! As Thanksgiving is upon us this week, there's no better time to reflect and say a big "THANK YOU!" to everyone for your patience and concern during an unforeseeable natural disaster that impacted so many around us. Our entire team is feeling extra thankful this year, and we'd like to share our gratitude with all of you. We're back in the office and up and running. We received a lot of offers for assistance while we dealt with the impact from the recent California Wildfires and we're very appreciative of the support we continuously see from our industry, colleagues and friends. Our staff kicked into gear once the roads re-opened and we were able to access our offices to ensure payouts were still sent on time. It was a miraculous team effort and the assistance offered from many of you was immensely appreciated. Now that we're settling back in and catching up, it's back to business! We've got a lot to be excited about, the holidays bring in big sales days so get your ads updated and your traffic ready! During the Black Friday Blowout we will give away $10k in cash prizes to models, for their extra efforts in converting users into a frenzy of spending. In addition, customers will be able to unlock new credit package promos, 25% discount on VODs while still enjoying 120 for new users. Users will be enticed with our big discounts on large credit packages! Cybersocket Deadline is Dec. 1st ! The Affiliate Team will be out of the office both Thursday, November 22nd and Friday November 23rd. If you need anything during that time, please email sales@flirt4free.com. As many of you are probably aware, Southern California has been devastated by wildfires over the past week and for the first time in the company's 22-year history, our company has been impacted to a level never felt before. Beyond personal losses to team members, our team in Los Angeles has been locked out of the office and the roads to the office closed due to the fires being close and evacuation of the area being required. Unfortunately, this means our accounting team is currently a day behind to get all the payouts sent out as they need access to specific items in the office to do payouts and so this might possibly impact when you receive payment this week. We're doing everything in our ability to get the issue resolved, but wires are going to be a day delayed at least, and we'll have to wait and see if we're allowed back on the roads in the next few hours to know how delayed checks or alternative payments will be. Hopefully no more than a day or two, but we know how important it is that you receive your payouts in time and are making this our major priority. Thank you for your patience during this difficult situation from a terrible natural disaster, and we hope to be giving you good news shortly. This week, Choice Bank Ltd, the financial institution offering loadable card payout methods via FirstChoicePay and Paxum, issued a statement saying they have been forced into a �liquidity-constrained position.� This essentially means that they have been forced to suspend all withdrawals and outbound payments by their financial regulators. Paxum issued a similar statement, and are in the process of contracting a new card-issuer. At this time, Choice Bank-issued Paxum cards can no longer be loaded via transfer, but any funds that have already been loaded are fully available and can be used as normal. Check by mail: We can switch your account to receive a mailed check, please provide us with a current address for this option. Wire: We typically charge a $35 fee for Wire Transfer payouts. However, affiliates who need to switch over for the pay period ending 4/15/2018 will only be charged $5. If you remain on Wire Transfer after 4/15/2018, the fee will revert to the original $35. Note: if you switch to Wire Transfer, your bank may subject you to their own additional fees, which are beyond our control. We apologize for any inconvenience you might encounter, and will keep you posted on any important developments regarding this issue. Please email us at: Sales@Flirt4Free.com to update your payout information or if you have any questions regarding this announcement.